Blaenau Gwent, which rests at the top of the valleys below the Brecon Beacons, between Merthyr Tydfil and Torfaen, has mostly coarse on offer, with game fishing available at Cwmtillery Reservoir. 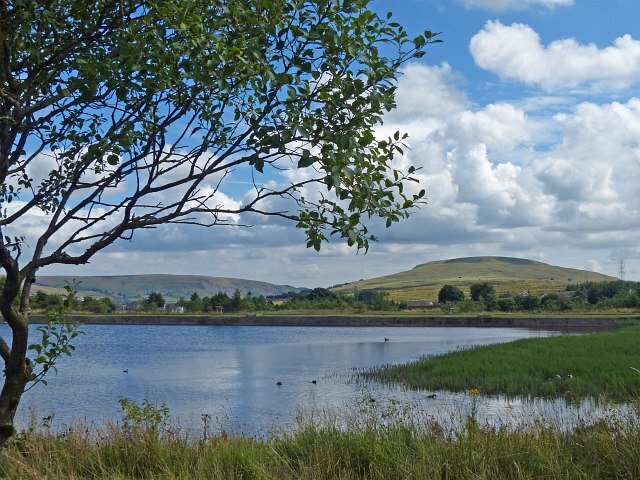 A popular attraction in Blaenau Gwent is Parc Bryn Bach in Tredegar, which has a 36 acre man-made lake that has become one of the premier fishing hotspots of South Wales and a firm favourite with local anglers. The lake is stocked with a variety of course fish including 20 – 30lbs of prize common carp. Day and season fishing tickets are available at the Visitors Centre, with night fishing also available on request. The park also hosts Fishing competitions. Another popular attraction in Blaenau Gwent, which also offers coarse fishing, is Festival Park Visitor Centre, situated above the Sirhowy River, between Tredegar and Ebbw Vale. Additional information; Most of the fishing rights on the canal network are licensed to angling clubs but some stretches may not be let for various reasons. To make these waters available the Waterway Wanderers scheme has been designed by the Canal & River Trust for the benefit of both angling clubs and individual fishermen Individual members of the Angling Trust are also entitled to the £10 concessionary rate upon receipt of a photocopy of their membership card. Additional information; Parc Bryn Bach has been developed from an area of industrial dereliction into one of the most popular country parks in Wales. Its excellent visitor centre has a lakeside café, interpretation centre, rooms for hire and bunkhouse accommodation.Within the Park there are many facilities including a 30-pitch caravan and campsite, picnic areas, children’s play area and a dog walk. Situated: Lying North West of Abertillery, this former feeder pond to Cwmtillery Colliery. Additional information; Fishing is also allowed with Carp, Perch, Roach, Rudd, and Trench being the main fish available. Permits are available from Tredegar Angling Centre in Morgan Street, in Tredegar Town Centre, or from the bank side bailiff. Additional information; The Sirhowy River has its source on the slopes of Cefn Pyllau-duon above Tredegar. After flowing through Siôn-Sieffre’s Reservoir it turns south through Tredegar and thenBlackwood and Pontllanfraith. It turns eastwards near Cwmfelinfach and joins the River Ebbw near Crosskeys. Website: https://www.facebook.com/pg/Abertillery-District- Additional information; This is a lovely stillwater set in stunning surroundings at the top of Cwmtillery in a Horseshoe valley. Its approx 17 acres and has 50 members. It is stocked monthly with hard fighting Rainbows up to around 3lb. Day tickets are available at the reservoir priced £12 for 3 fish.